Fire TV owners, I hope you don’t enjoy watching much YouTube, because the app is about to disappear from your device. Same goes for you Amazon Echo Show owners. Google announced today that it has had it with Amazon and their selective selling and implementation of competing products. That’s a vague way of saying that Google is over Amazon not allowing them to sell Chromecast and Google Home through Amazon and so they are blocking YouTube in retaliation. Cool, right? This is exactly what you want from two giant tech bros, both of which likely serve as the gatekeeper to a number of the products you use, none of which you want blocked by the other because they’ve embroiled themselves in a petty war of accessibility. But that’s what we’ve got! According to a Google spokesperson who shared a statement with CNET, Google has been “trying to reach agreement with Amazon to give consumers access to each other’s products and services.” Since that hasn’t happened and Amazon refuses to not only not sell Chromecast, Google Home, and some Nest products, they don’t seem interested in adding Google Cast to Prime Video either, time is up. 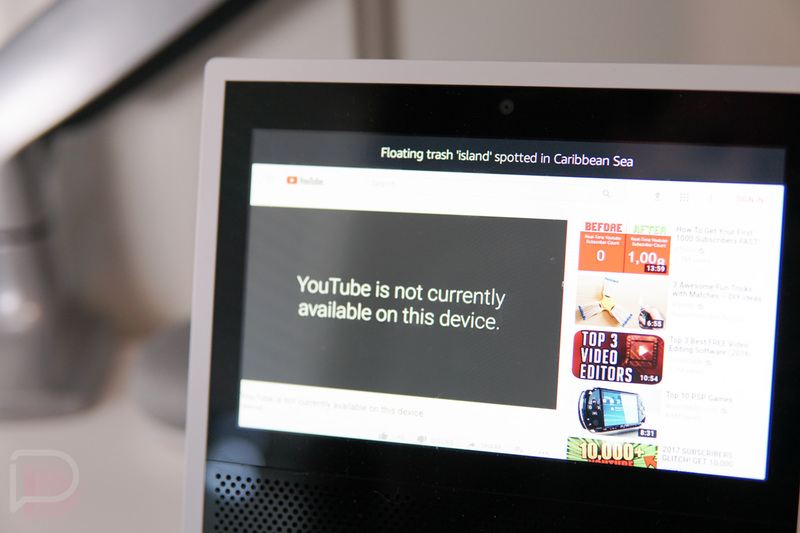 Google went on to say that the “lack of reciprocity” has forced them to no longer support YouTube on Echo Show and Fire TV. For Fire TV owners, you’ll lose access to YouTube on January 1. For Amazon Echo Show owners, well, as you can see from the image above, your access has already been cut. Will these two ever reach an agreement? That’s tough to say. As you can imagine, Google likely wants to have YouTube on Amazon’s services, since millions of people use them and Google is all about that reach. However, Amazon probably isn’t all that excited about Google competing with them in hardware on their own store, though I’d imagine Amazon’s customers aren’t going to be happy if YouTube isn’t a part of their shiny new device’s ecosystem. And what if this gets worse and Google cuts off Nest from Alexa? Yikes.